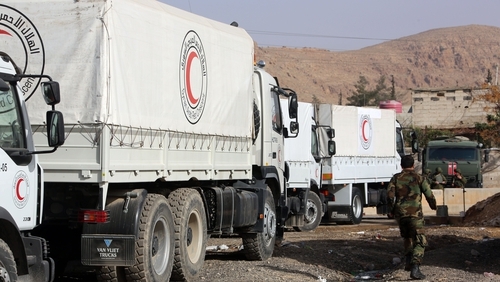 The International Committee of the Red Cross has appealed for news of three staff members abducted in Syria in 2013 - a New Zealand nurse and two Syrian drivers. Armed men stopped their convoy on 13 October 2013, and abducted seven people, four of whom were released the following day. New Zealand said it had dispatched a special forces unit to Syria to search for Ms Akavi, who was believed to be still held by IS. "This has involved members of the NZDF (New Zealand defence force) drawn from the Special Operations Force, and personnel have visited Syria from time to time as required," said New Zealand Deputy Prime Minister Winston Peters. Mr Peters said information about the kidnapping had not been previously released for fear that any publicity would place the hostages at greater risk. Ms Akavi had carried out 17 field missions with the ICRC and the New Zealand Red Cross, the statement said. Mr Rajab and Mr Bakdounes were "dedicated husbands and caring fathers", it added. The Kurdish-led SDF, backed by a US-led coalition, captured the last IS bastion in eastern Syria on 23 March, and had detained thousands of suspected IS fighters. But this could make it more difficult to find Ms Akavi.